Should I get an iPhone or an Android phone??? First of all, there is no right or wrong answer to this question. Smartphones are quite amazing devices, offering tremendous capabilities (whether you decide on an Android phone or an iPhone). You can surf the Internet, check your Email, send text messages, play games, listen to music, watch movies, take pictures, keep your calendar, read books, use the built-in GPS, watch baseball games, and so much more. Oh, and you can make phone calls! Android is an Operating System developed by Google, and is supported by many manufacturers. iPhones are made by Apple. No other manufacturers make iPhones. Android based phones have a larger market share in the US than iPhones do currently. Several factors should be considered when making your decision. What phones does your wireless provider (ATT, Verizon, etc.) carry? What is the cost of the phones you are considering? iPhones tend to be more expensive. Choice. Because only Apple makes iPhones, you will have more choices (phone manufacturer, phone style, features) if you go with an Android phone. Compatibility. iPhones work great with iTunes. Android phones interface very easily with Windows based computers. Features. What quality camera do you want on your phone? Do you want to be able to also take videos? What screen size would you like? Do you want a slide out keyboard? And so on. Who should buy an iPhone? If you are a big Apple fan or you love iTunes, then an iPhone is certainly for you. And who should buy an Android phone? 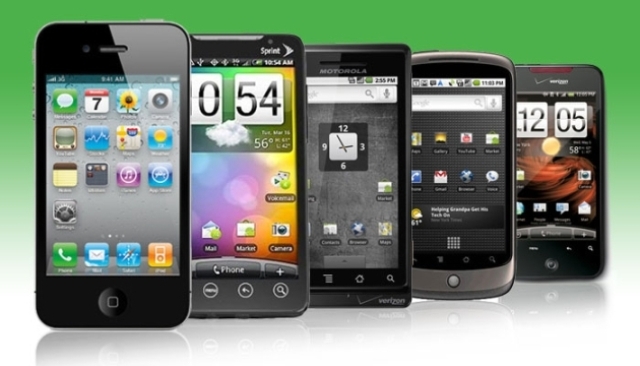 If you prefer to have a lot more options and choices, then you should look at the variety of Android phones available. Here is the bottom line. Once you make your decision, you will love your smartphone, whatever you decide.